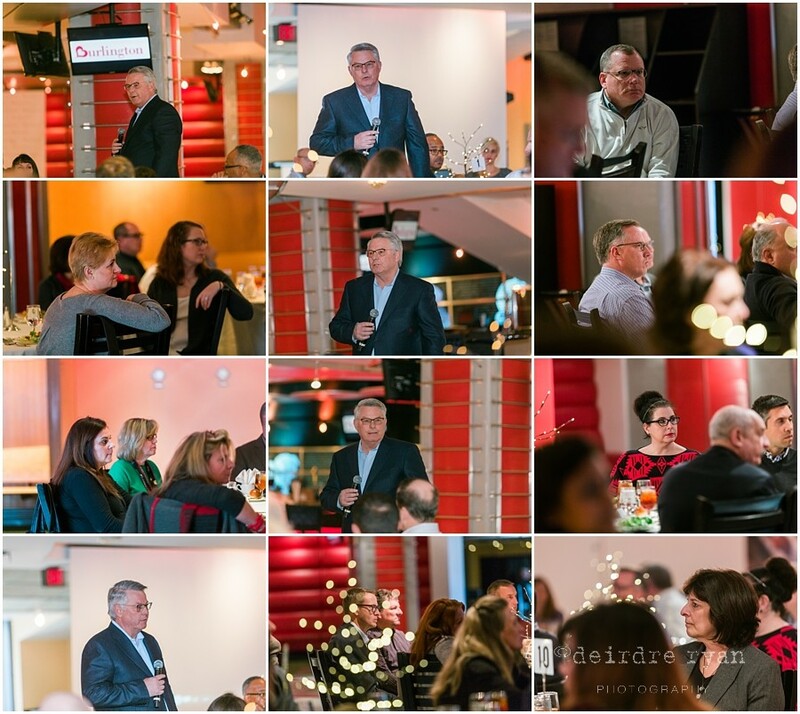 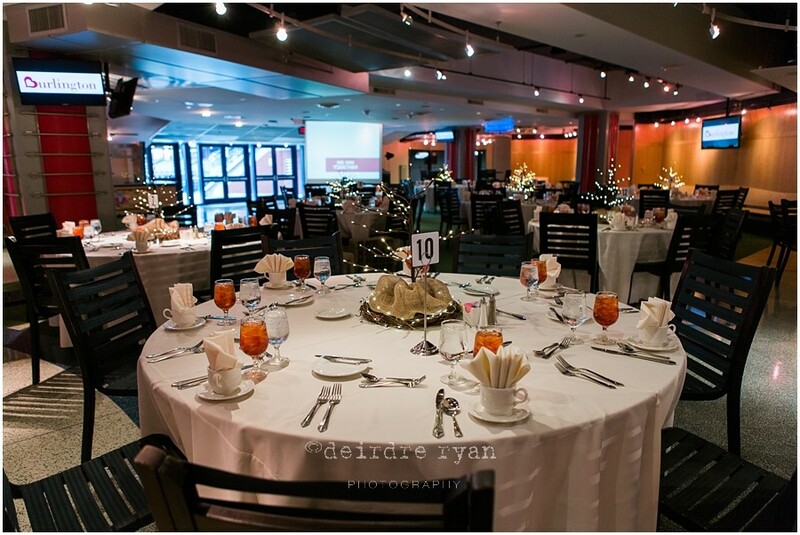 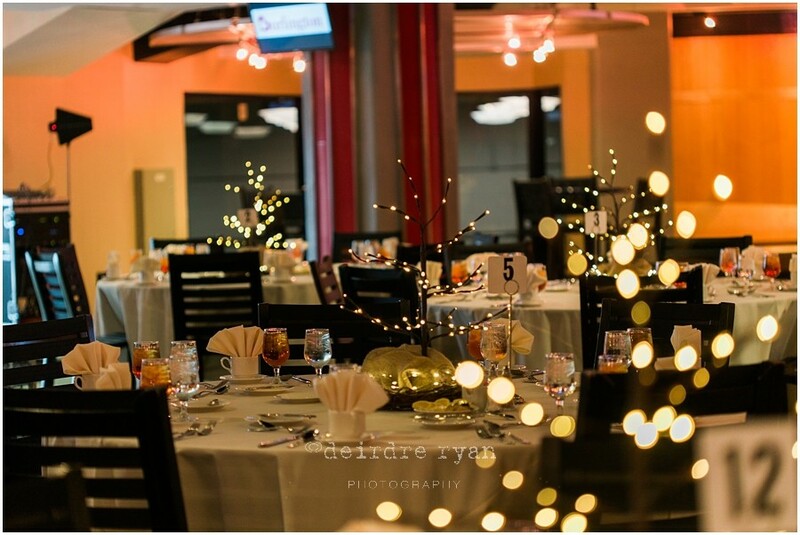 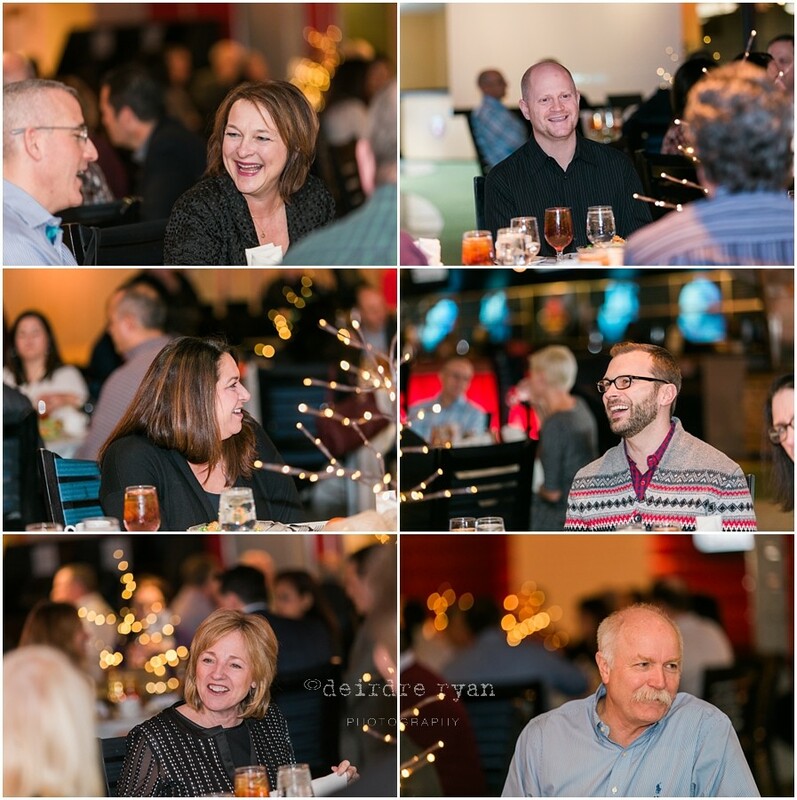 I had the pleasure to photograph another fun event for the Burlington Coat Factory back in December for their end of the year Leaders Luncheon. 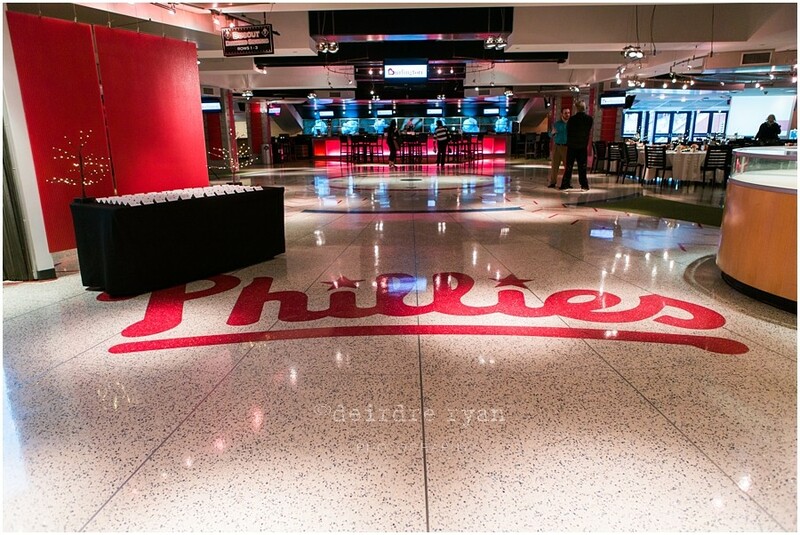 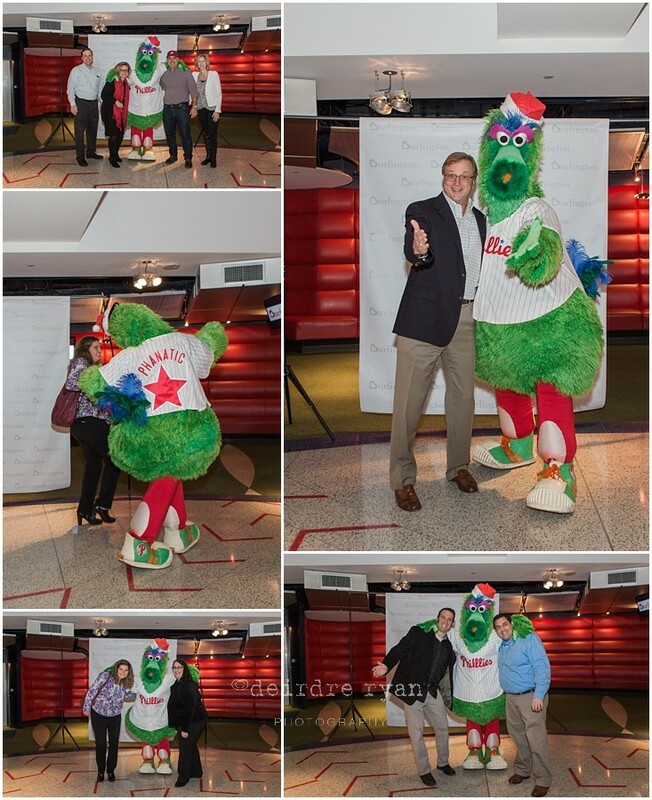 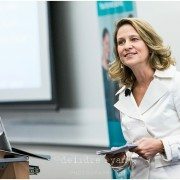 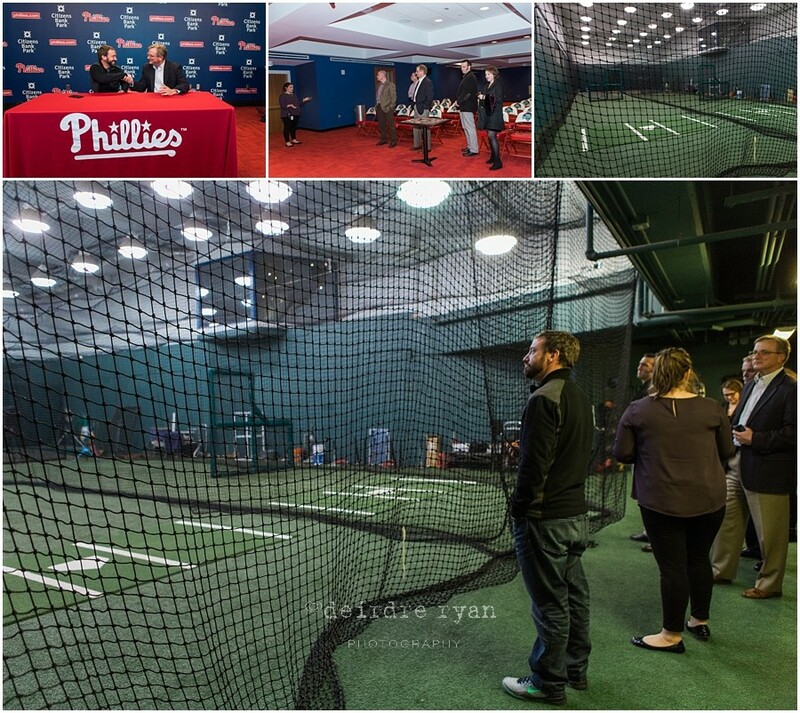 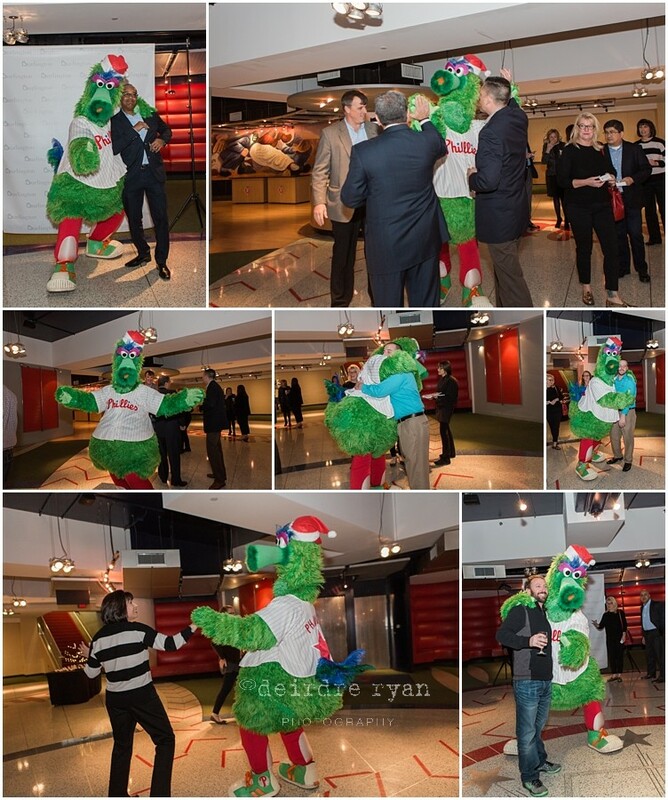 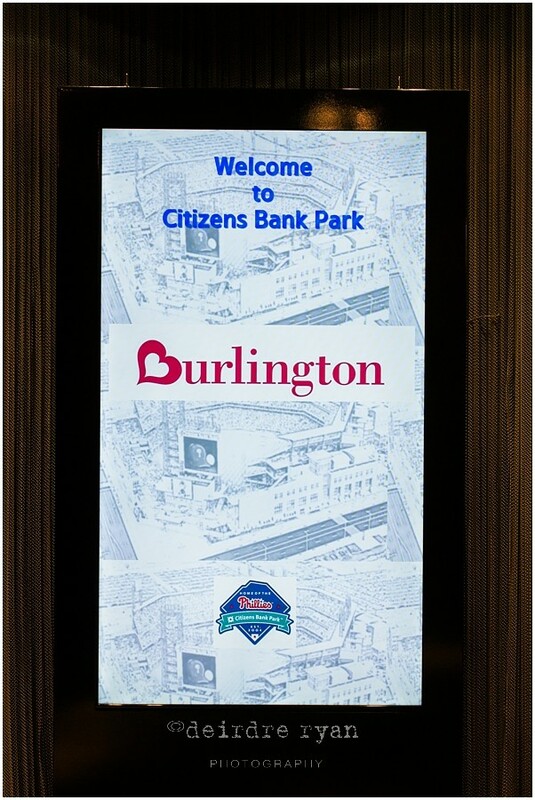 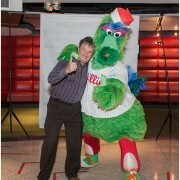 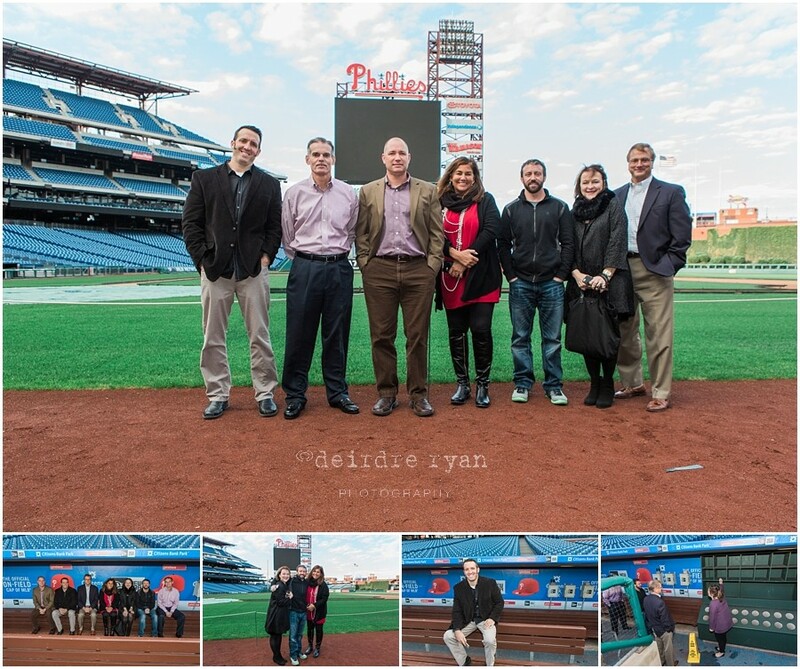 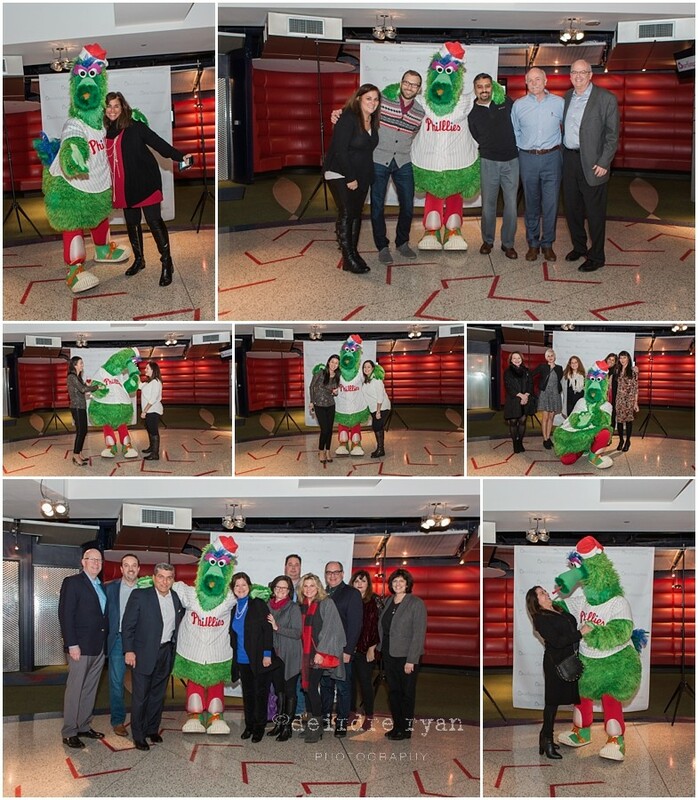 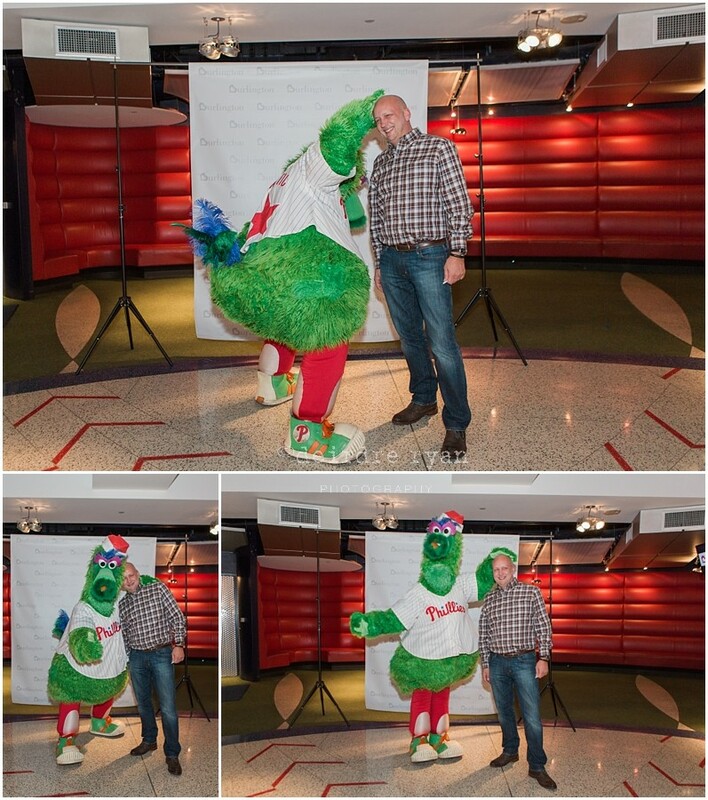 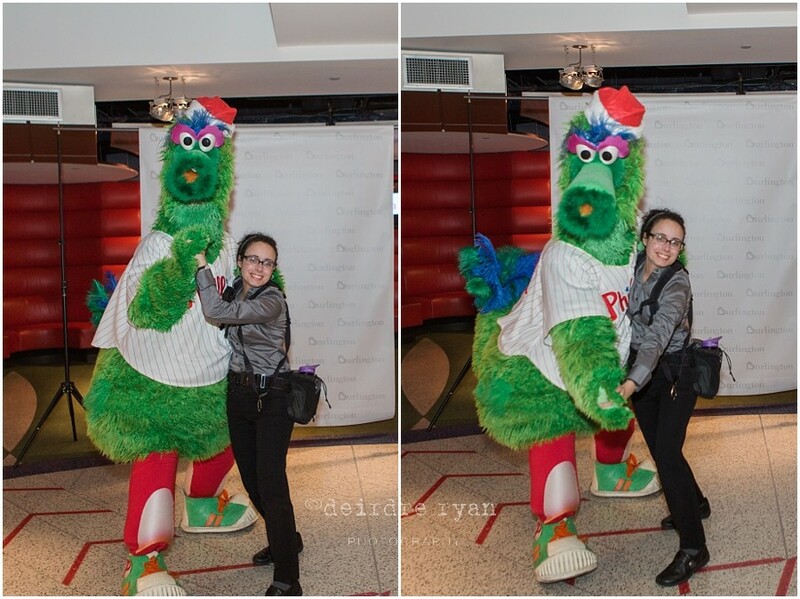 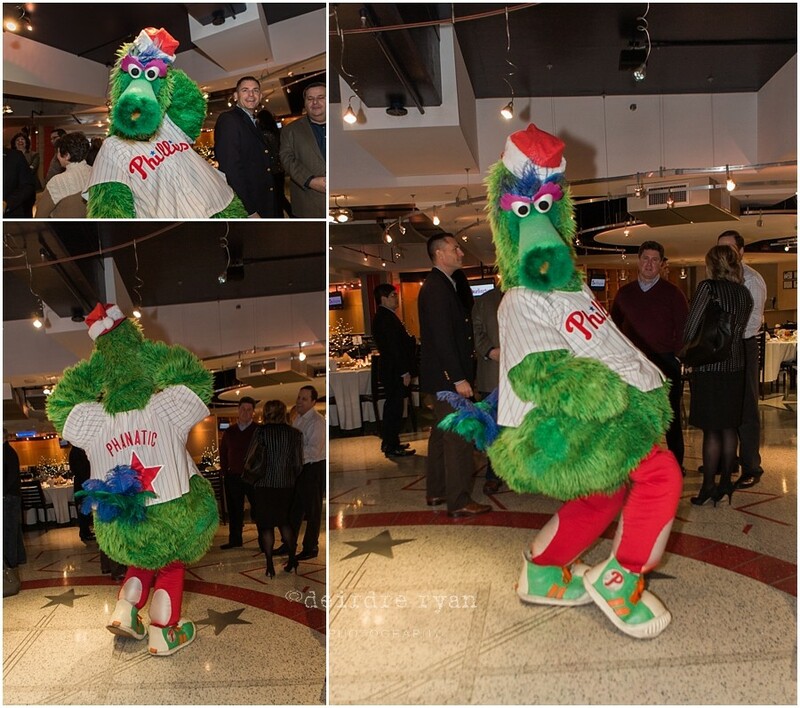 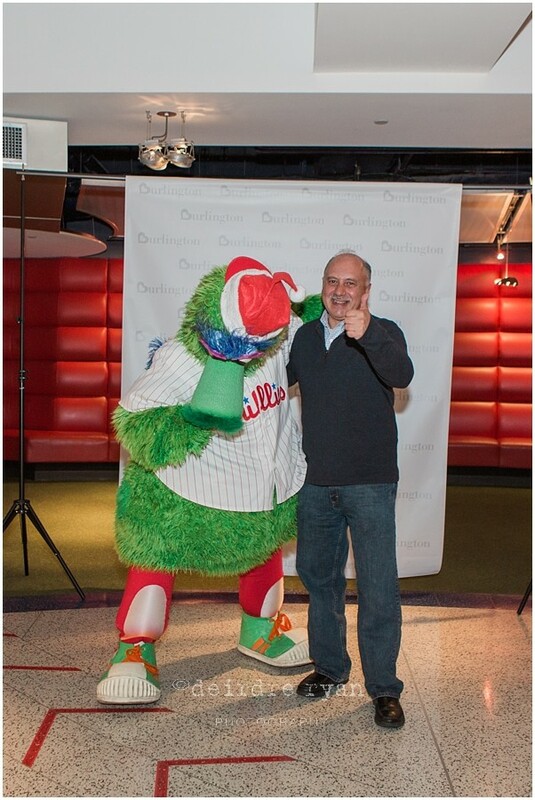 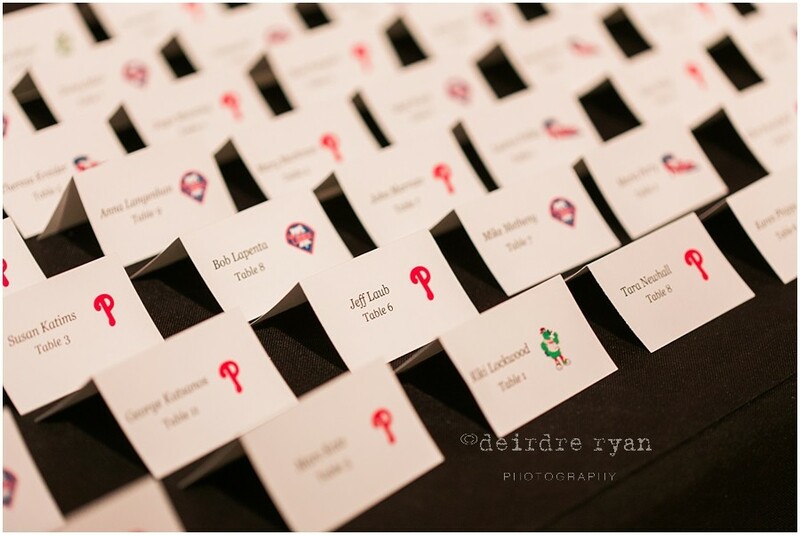 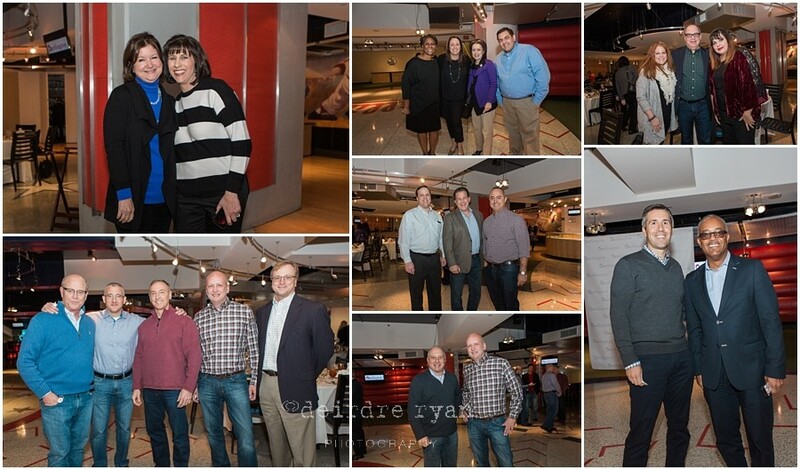 It was held inside the Diamond Club at Citizens Bank Park, home of the Philadelphia Phillies baseball team and their mascot, the Phillies Phanatic. 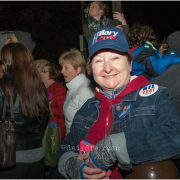 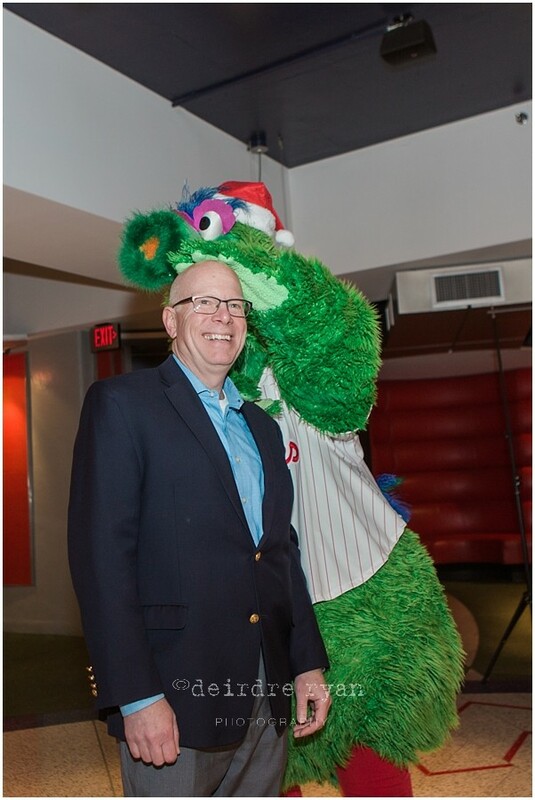 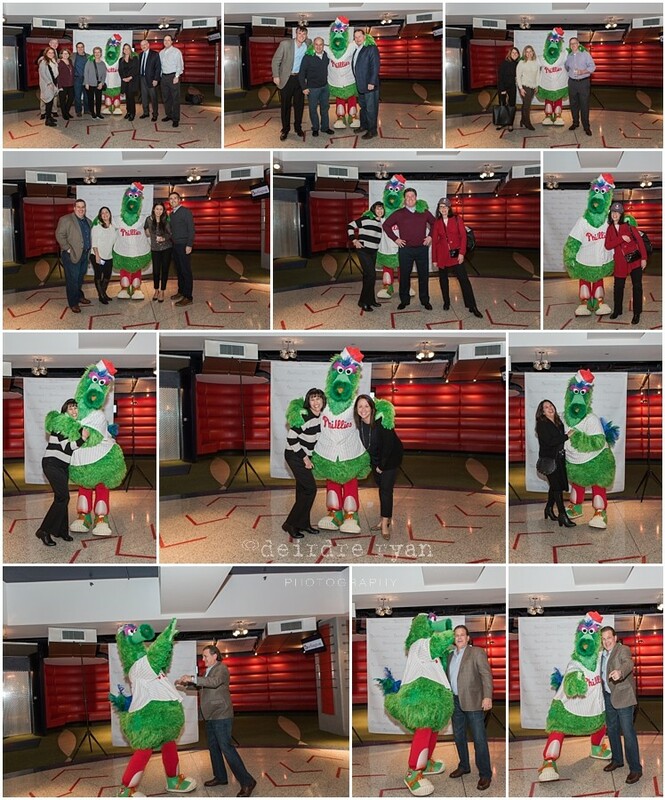 This was a lot of fun, because the Phanatic was up to his usual mischief(I even got a photo with him! 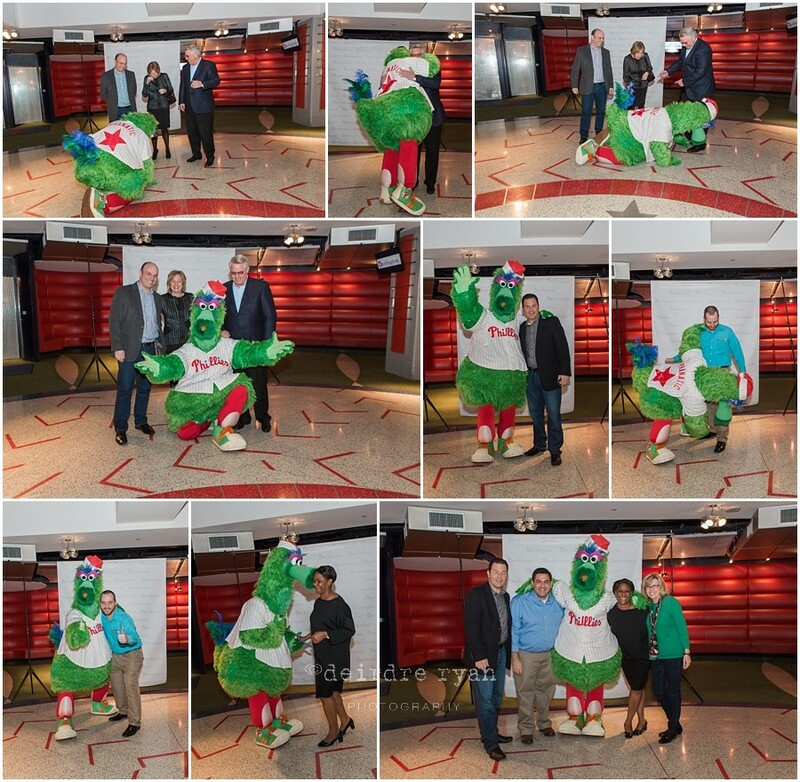 ), and then afterwards, they split up the large group into 2 groups to tour the field and where the Phillies warm up, their locker room, and the media room. 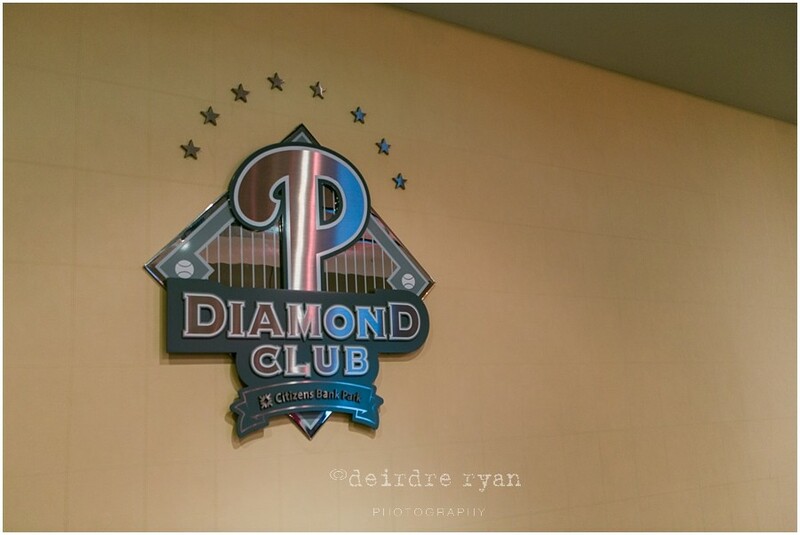 The Diamond Club offers sweeping views right above home plate in the ballpark, and lucky for us, the month was mild, so we were able to go outside and not have to worry too much about jackets. 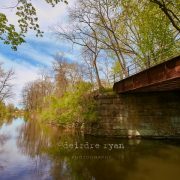 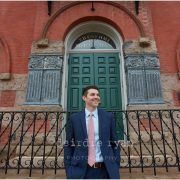 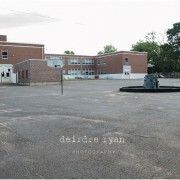 It was “brisk” with the breeze, but a gorgeous day! 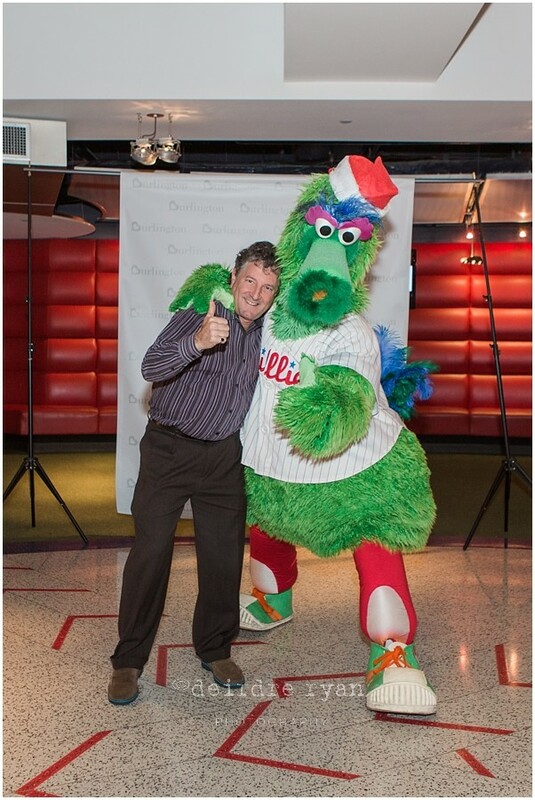 Thank you once again to everyone at Burlington Coat Factory and of course, the Phillie Phanatic 😀 You were awesome!